FRANKFORT, Ky. (Feb. 1, 2019) – The Kentucky Office of Highway Safety (KOHS) has released new numbers on highway deaths in the state. According to KOHS, for the second year in a row, the number of highway deaths has decreased. The report says in 2018, there were 722 highway deaths. That’s down from 782 in 2017. According to data from the University of Kentucky Transportation Center, Kentucky’s seat belt use rose from 86.8% in 2017 to 89.9%in 2018. The statistics are considered preliminary until all highway crash data is collected. A final report will be released in April. So far in 2019, preliminary numbers indicate there have been 44 roadway deaths. 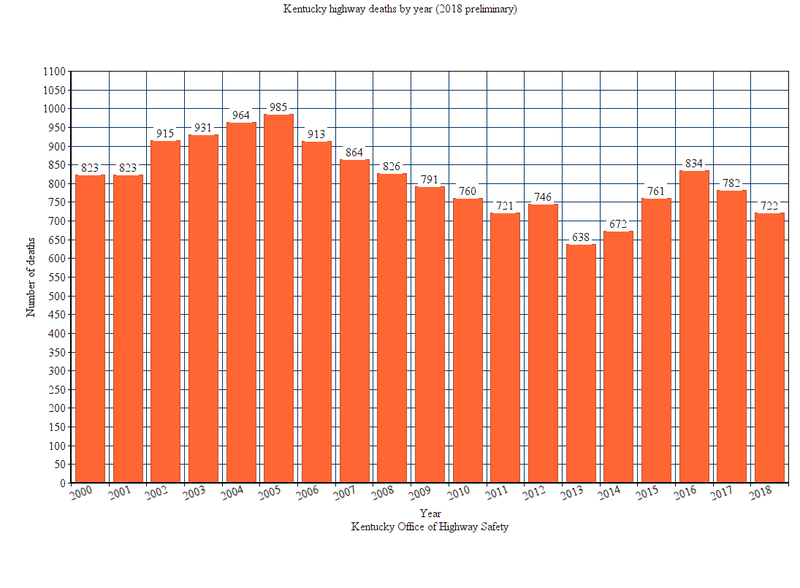 View Kentucky highway deaths by year HERE.